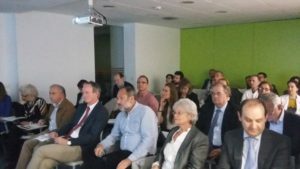 The Spanish Association for Primary Immunodeficiencies (AEDIP in Spanish) organised an Educational Workshop for physicians “PID awareness raising workshop” in A Coruña on 29 April 2016. 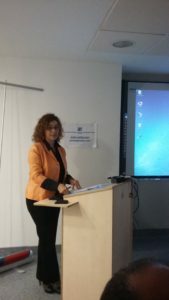 The Galician regional deputy director for patient care, Ms Beatriz Pais, contributed to the sessions by providing the conclusive remarks. The workshop aimed at tackling the lack of diagnosis in the region and raise awareness amongst the regional authorities about the importance of strengthening the healthcare system so it can take good care of PIDs. AEDIP has been organising a series of awareness raising workshops in the past years as a way of increasing the awareness and knowledge about PIDs in the different Spanish autonomous regions. 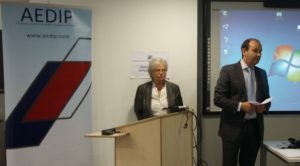 Last year’s edition was celebrated in Zaragoza and succeeded in opening a PID reference centre for adults and another one for children in the region.